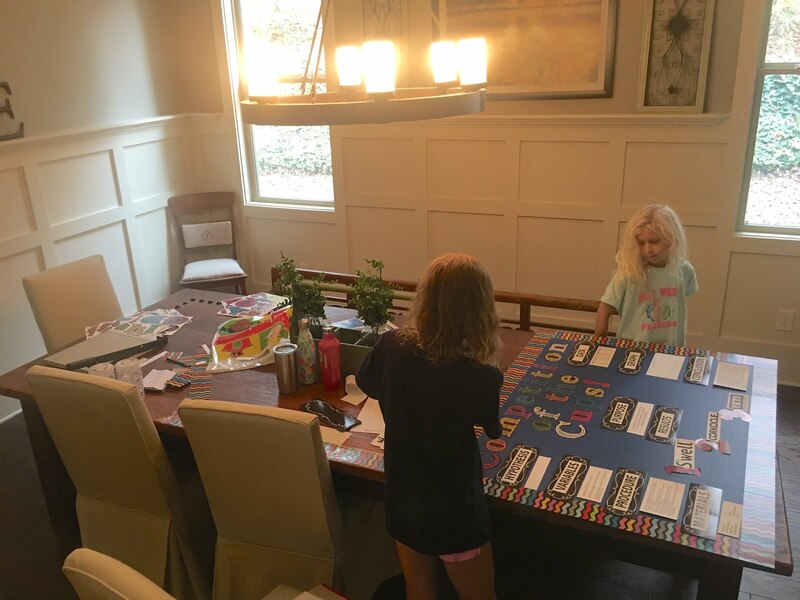 A few months ago Little Mama came home with information about the Science Fair at their school! I remember having to do Science Fair in middle school and I tested Optical Illusions every single year. 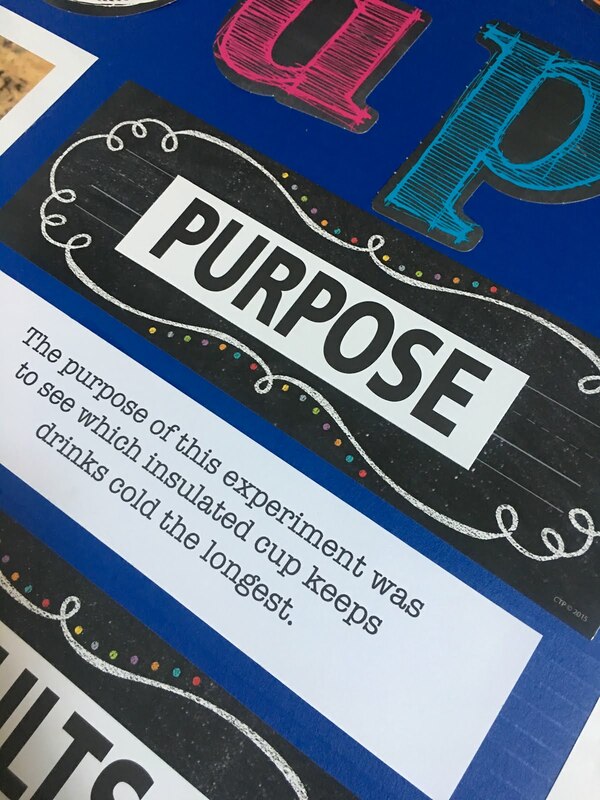 The experiment part was ok, but I loved designing and making the display board! 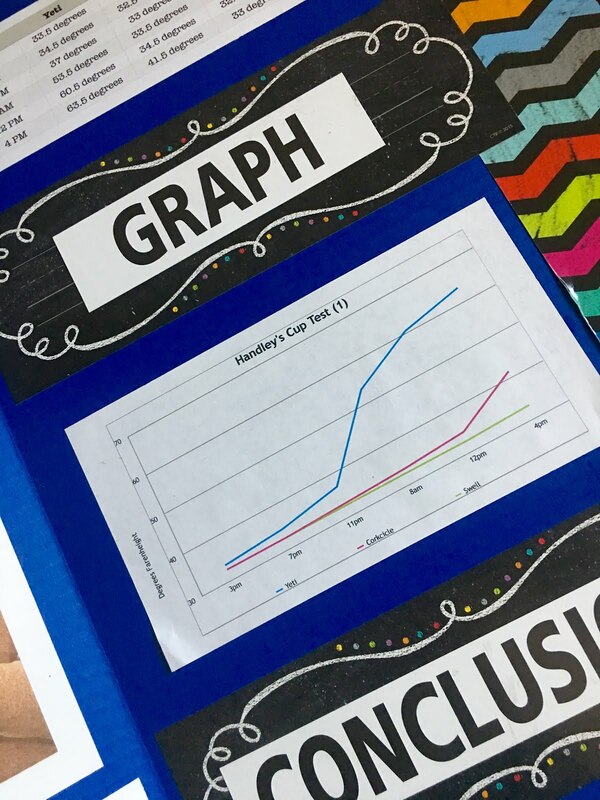 Each 5th grader was required to come up with an idea for their project and they could select to work with partners or alone. Because of our busy schedule I encouraged her to work alone just because I knew trying to coordinate with a friend to get together as much as it would require would be tough. 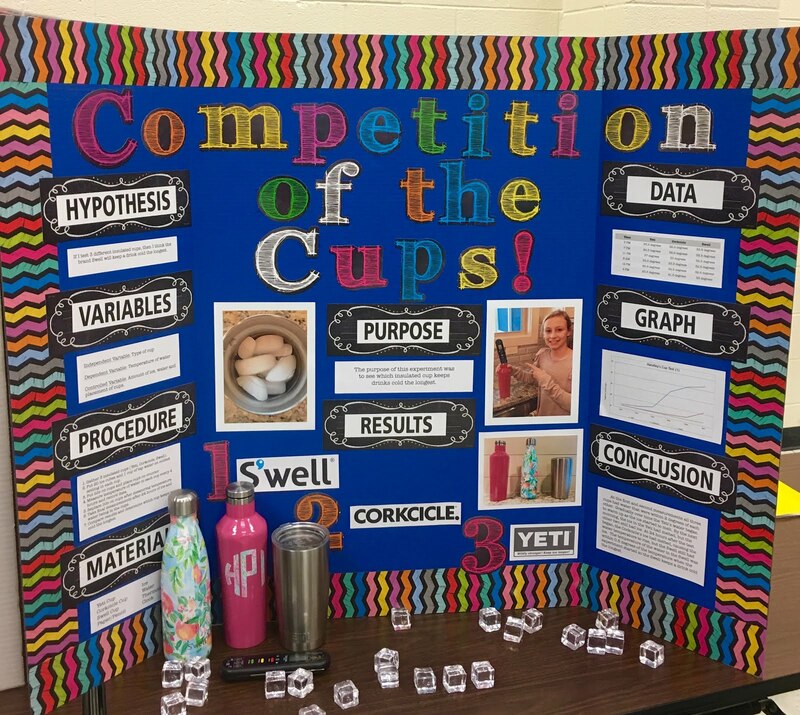 We searched online, brainstormed and tossed around a few different ideas for her project, but she ultimately decided to test several different insulated cups and water bottles to see which kept ice water coldest the longest. 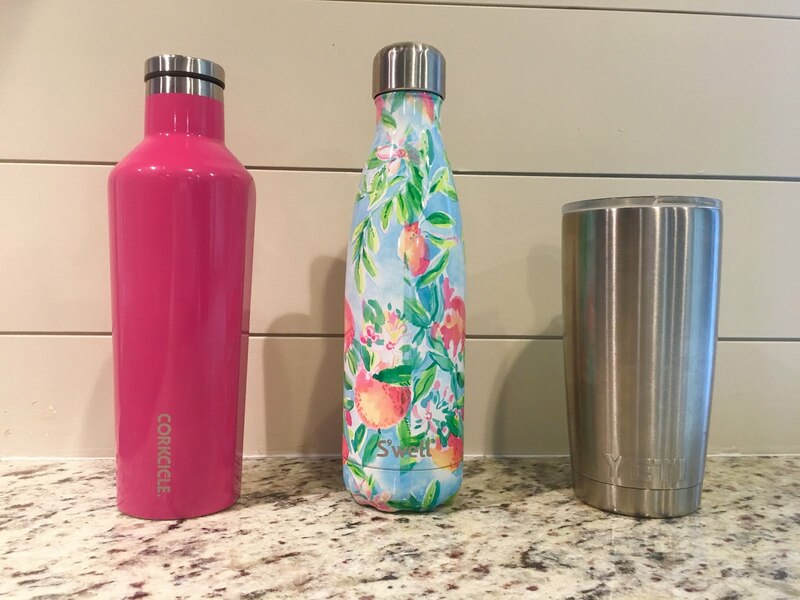 We love cups and water bottles in our house and it is always running joke that the last thing we need is more cups. However, it's something we all use everyday, so sometimes a new one is just fun! 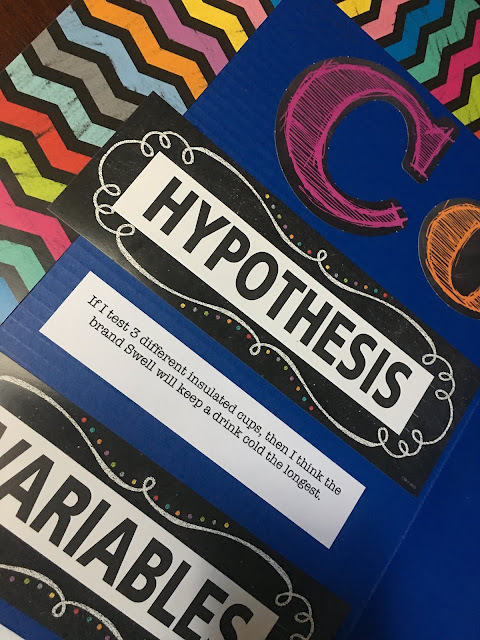 She spent about two months completeing all of the tasks required for this project including research, testing, recording data and writing a report. 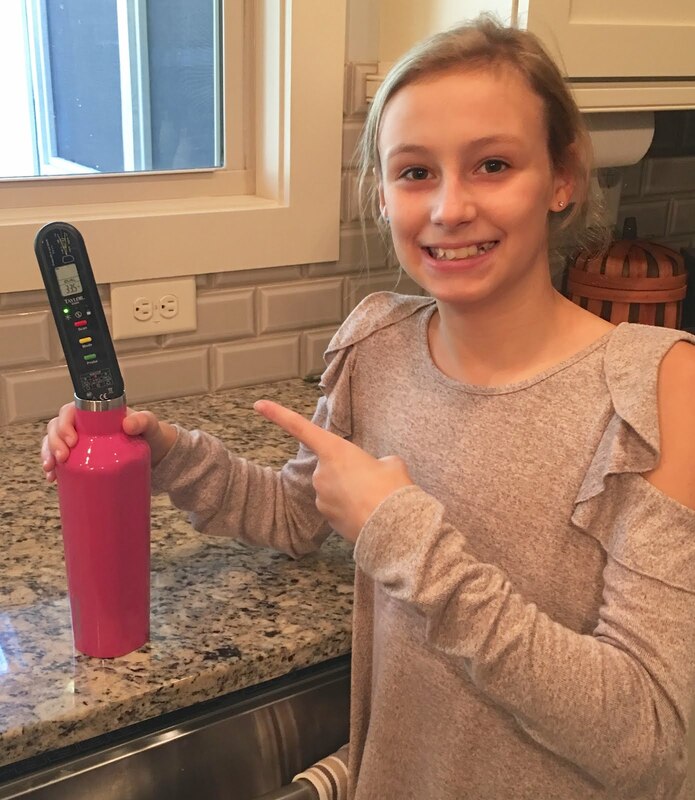 She was very specific and exact with her experiment, counting out ice cubes and putting the same amount of water in each cup and using a digital food/drink thermometer to measure the temperature of the water every few hours. 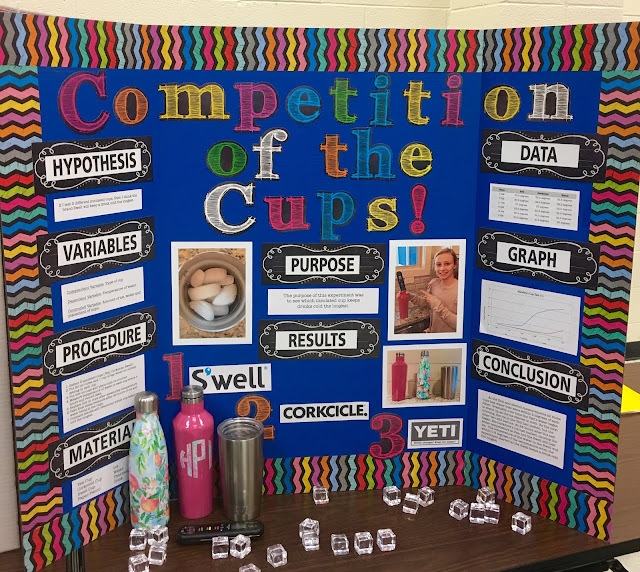 Her hypothesis was correct and the Swell was the clear winner for this experiment! She tested it on three different occasions and Swell was the winner each time. After 24 hours there was still ice left in the cup and the water was only 0.5 degrees warmer over the course of 24 hours. It's probably my favorite insulated water bottle so I was happy to know it was the winner also because I love my water super cold! When the experiment was over it was time to create her display board and she followed in my footsteps thinking it was the most fun part of the project! She loved browsing the teacher supply store looking for borders, labels, and other fun things to add to her board. Science Fair was taking over my dining room, but she was so into it that I didn't mind. I helped her use the paper cutter to get everything cut out, but really had to sit on my hands and let her go at it when it came to gluing everything down. She did a fantastic job and her presentation looked fantastic! They had outside judges come to the school on Monday and judge each project. She came off the bus on Monday afternoon with the biggest smile and told me that SHE WON 1ST PLACE!!!! I couldn't believe it! 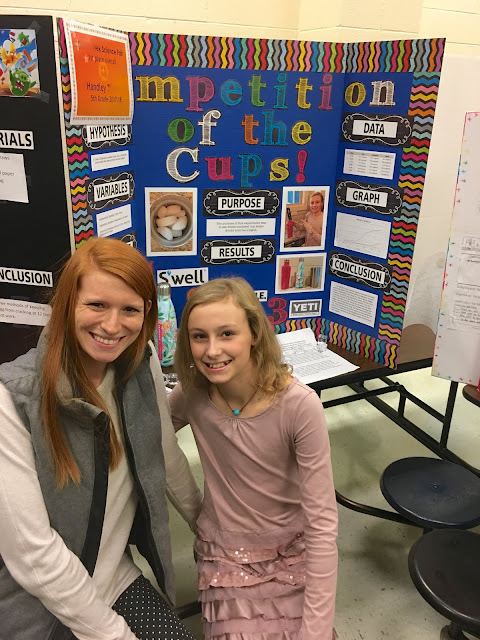 Apparently the judges narrowed down to the finalist and called those students back down to talk to them again and question them about certain parts of their experiments and she returned to class. Then, at the end of the day she got called down to the office one more time. She said she thought she was in trouble or something, but really they just wanted to take her picture because she was the overall winner! On Monday evening all of the parents got to visit the school and see all of the Science Fair projects displayed. She was on cloud nine with everyone congratulating her and wanting to check out her project. She was so sweet saying, "I totally didn't think I would win because so many people were doing things like making electricity out of fruit and stuff like that." Her teacher told me she thought it as just a really original idea and that it is something really practical the judges were interested in. 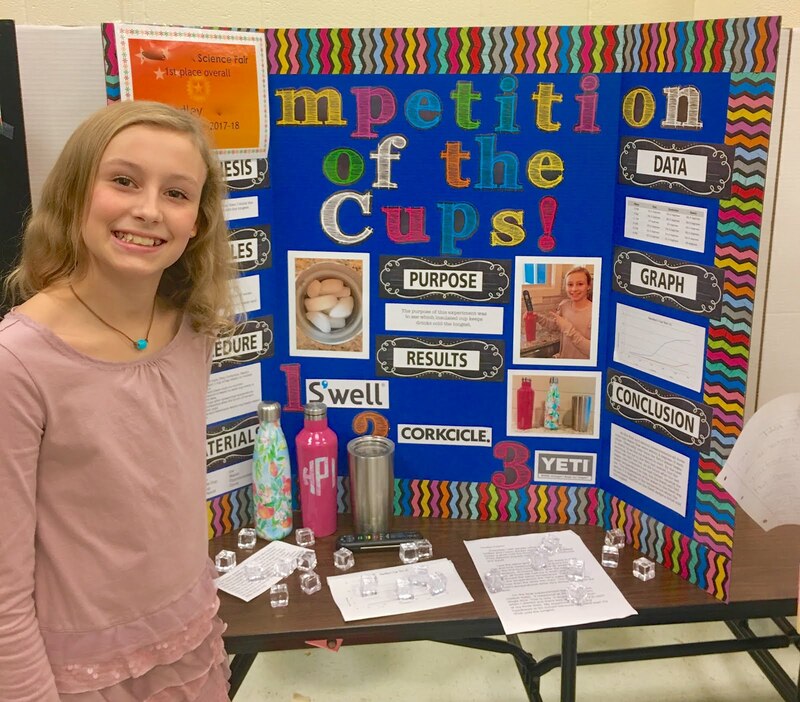 Now she gets to go onto the county Science Fair in a few months to see how her project compares to the other winners from schools all over the county.